With two new headquarters, will Amazon get to double dip on tax breaks? The $800 billion company will receive upwards of $2.8 billion in performance-based incentives. 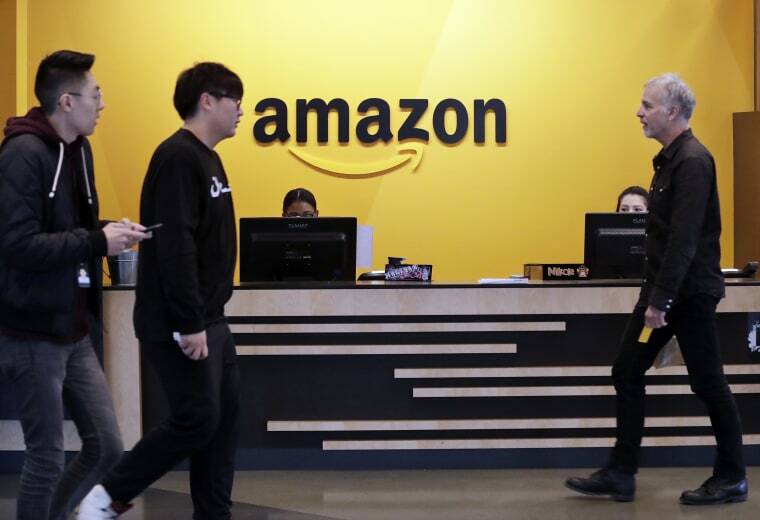 With news that Amazon is splitting its new HQ2 headquarters between New York City and Crystal City, Virginia, with an additional Nashville-based operations center, came a new speculation. Will the retail giant collect on the full amount of initiatives from all locations? No, said location consultant John Boyd. "These packages will be reworked under this current [development] model," he said. But still, the amount of assistance that Amazon will receive is enormous. The company will receive upwards of $2.8 billion in performance-based incentives from the three cities: $1.85 billion from New York, $819 million from Virginia, and $102 million from Nashville. Amazon said it will apply for additional funding from other government sources. The staggering sums raise what has becoming an increasingly popular question: Are incentives a smart investment? Amazon said it intended to invest a total of $5 billion in buildings, infrastructure, and operational expenses. Another $8.3 billion in eventual annual compensation for 55,000 employees would offer income tax opportunities for the winning location. Additionally, Amazon is expected to build, purchase, and occupy 9 million square feet in building use, with a possibility of up to another 8 million — not to mention hundreds of thousands of annual hotel nights, and tens of millions of dollars in local transportation. That's why cities from Canada to Mexico competed for the business. While the initial packages from either Arlington or New York City aren't known, the latter offered $20 million in performance-based tax credits and $55 million to renovate an office space, based on 2,000 jobs in finance, sales, marketing, and IT. "Whether it's 100 or 20,000 employees, it's an invigoration of the immediate economy," said Jeffrey Citron, managing partner of New York law firm Davidoff Hutcher & Citron. "It helps maintain the private sector and there's an ancillary benefit to other businesses." "Not only does it grow the economy, there's a cachet and branding value that kick starts other investment," Boyd told NBC News. But the reality can be tough to measure. Jobs may open for people in the local area or, depending on the size of the city, might attract new residents. "If it's 50,000 jobs [in a large city], how many of them will be people moving from existing jobs to new jobs?" said Amihai Glazer, a professor of economics at the University of California, Irvine. The previous employers may not hire replacements immediately, dampening the impact. Plus, promises are often broken. In 2016, Boston and Massachusetts offered GE $1 million in customized training, $25 million in property tax reductions over 20 years, and a reported $250 million in infrastructure investments for the company's new headquarters and 800 jobs that were to follow. But GE fell on harder times: Two years later, the number of positions has only reached about 235. Critics question the general value that states and cities receive. "There's a reasonable amount of evidence that tax incentives don't much benefit the locality that offers them," Glazer said. The jobs measure is important because that becomes the draw politicians present to their constituencies. But in general, tracking down the economic effect is tricky, making the measurement of success potentially flawed. It's "money for the 'haves,' who have the least need for this but are being paid in essence a ransom or bribe to come or stay here," said David Lewis, a human resources consultant in Norwalk, Connecticut. According to Ryan McMaken, an economist and senior editor at the Ludwig von Mises Institute, the attempt to attract big businesses may be misplaced. "Had these policymakers simply adopted policies that benefited local small business owners and entrepreneurs, they may very well have had at least as much job growth," he said. "But that job growth would be harder to calculate and attribute to a single new policy or to certain businesses." And harder to take credit for. "The public and many lawmakers are growing skeptical," Boyd said. "You have candidates running against the idea of corporate welfare." Maybe Amazon will be a last hurrah. But given the current political emphasis on jobs that pay well, probably not. Erik Sherman is an NBC News contributor who covers business, economics, finance, and technology.